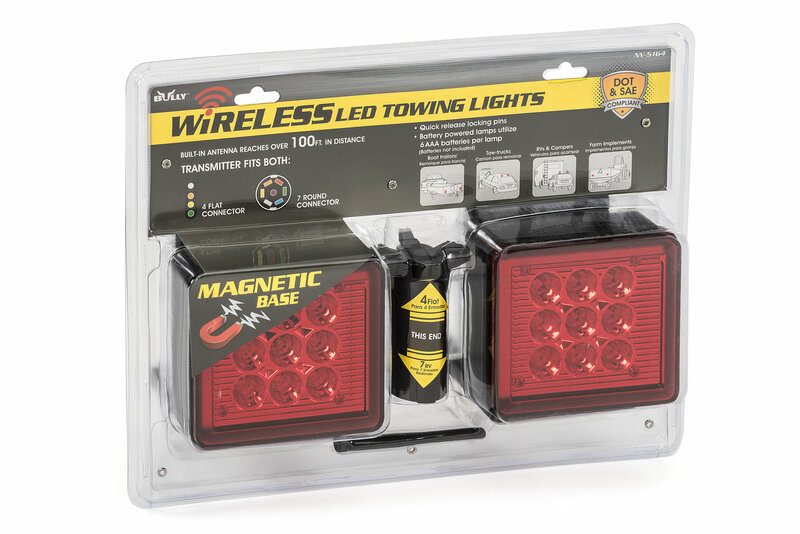 These wireless towing lights from Pilot Automotive use a detachable antenna on you trailer connector to send a signal that triggers your tow lights. 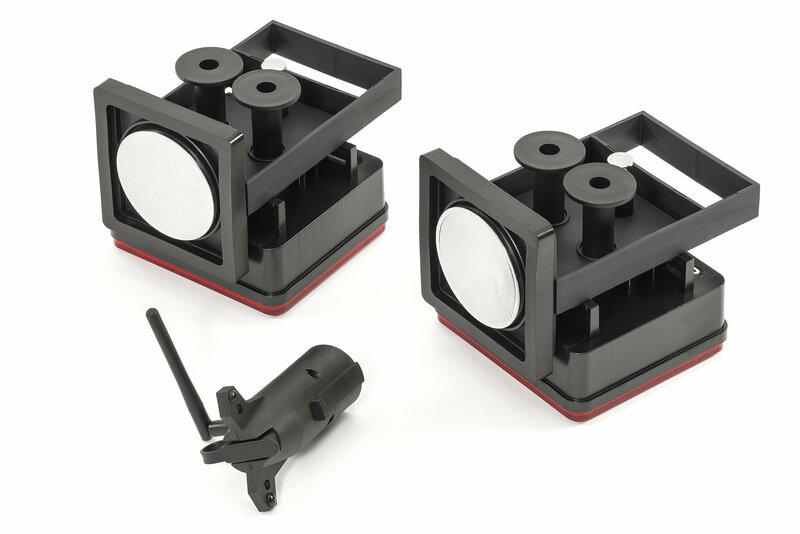 Designed to work on a 4 way flat or 7 pin round connector to your tow vehicle with no need to wire into your trailer or tap into wiring on the vehicle you are towing. 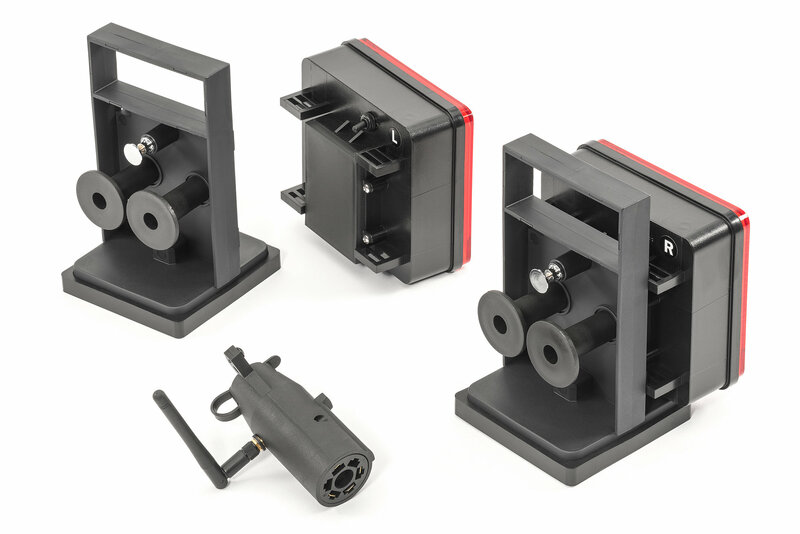 The wireless design eliminates the hassle of running cords every time you tow. 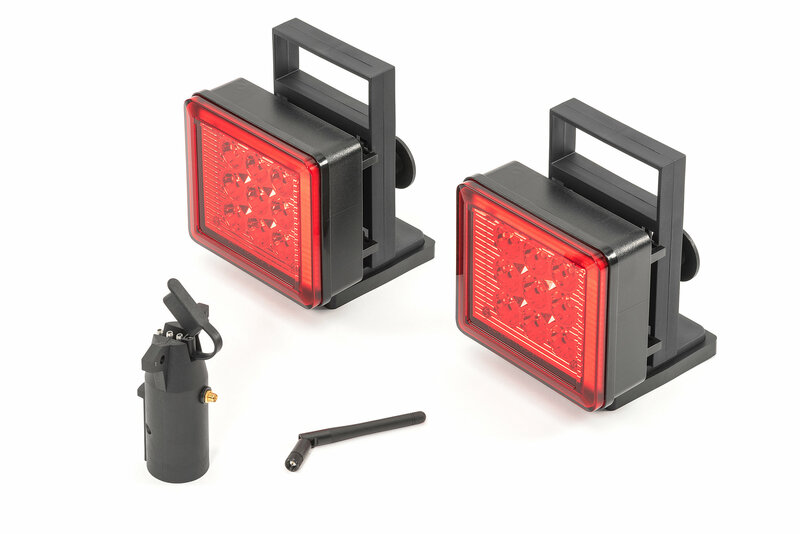 The stop lights work with 6 AAA batteries and have a durable polycarbonate base and lens housing.